For there has been, over the years, no shortage of blueprints spewing out of drawing boards on what to do with downtown Toronto’s old and reliable east-west freeway: encase the elevated portion of the highway in a curved glass tube; convert the roof of the raised roadway into a garden; or simply bury it as the city of Boston did. For a detailed look at this graphic, click here to view a PDF. Note: The graphic was designed as part of the page 1 designer’s layout, hence the white space in the upper right hand corner. This graphic shows the details of a proposal made sometime in the early 2000s by BA Consulting Group. The plan called for a stretch of the Gardiner to go underground into a tunnel, aligning itself with the existing Lake Shore Blvd. — plus a few other major changes in existing downtown roads. As with many other proposals, this one was stopped dead in its tracks. 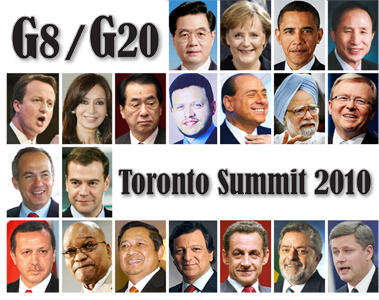 Tearing down the Gardiner and/or replacing it with something else has always been about money. More precisely, the lack of it. Boston’s painful experience with its own downtown expressway is an eye opener. The core project — bury an elevated highway at an estimated cost of U.S.$ 2 billion — evolved uncontrollably into what became known as the Big Dig, with a price tag that ballooned to U.S.$ 14 billion! 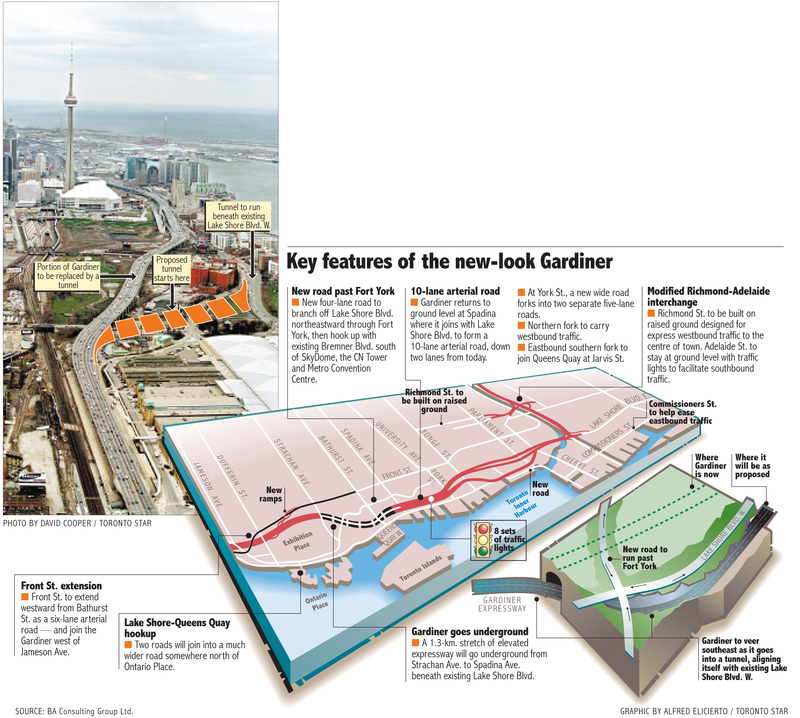 I once heard a Toronto commuter say that people have been talking about this Gardiner project in the last 40 years, and they may just as well keep talking about it in the next 40. Graphic by Alfred Elicierto. Published in the Toronto Star on April 7, 2000.